"If you are looking for beach cleaning equipment. 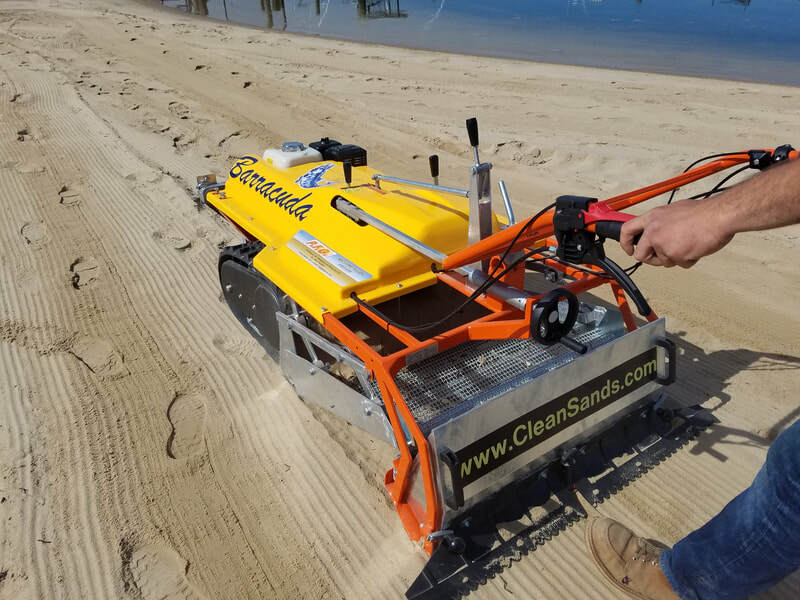 Click through our website to learn more about our equipment"
CleanSands, Inc. beach cleaners are efficient and effectively clean sand areas by removing unwanted debris from beaches, volleyball courts, golf bunkers and even equestrian arenas/tracks. They remove broken shells, stones and man-made debris like bottle caps and cigarette butts/filters with their intensive screening system action for cleaning. The sifting clean sands process performed by this equipment creates minimal sand compaction during the beach cleaning. This is due to their size, weight and length which creating less environmental disruption while cleaning the sand. An additional benefit of the equipment design is less tire tracks are seen on the sand surface after the cleaning process has been performed. CleanSands offers a full line of tractor attached and walk behind beach cleaners for ever sand size area. 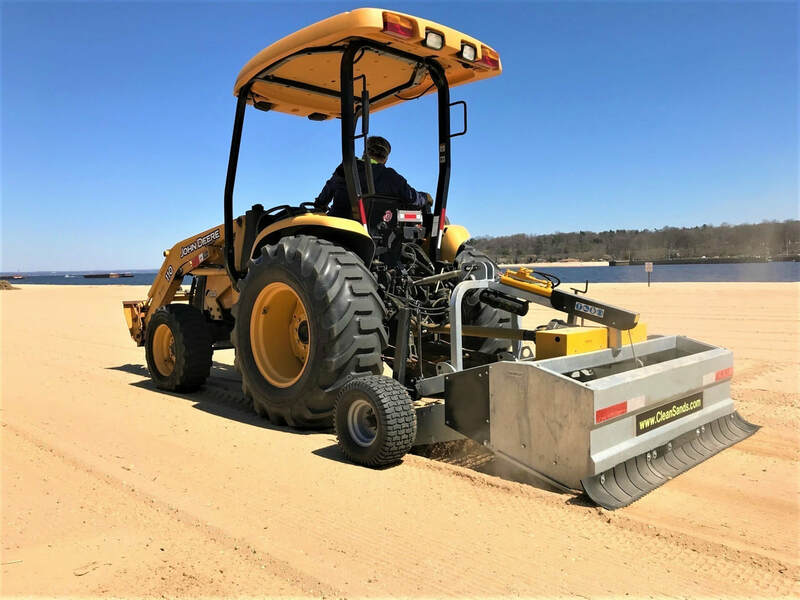 Find out more how these unique beach cleaning machines, beach cleaners and sand cleaning tool can help you with your sand area or beach cleaning equipment requirements. We would be happy to discuss your sand conditions and requirements with you.